The National Association of Perioperative Nurses (NAPON) said on Thursday that the dearth of perioperative nurses in the nation’s health sector had affected the management of surgical patients. Mr Adeyeni Babatunde, the National Chairman of the association, said this during the 2nd Annual National Executive Council meeting of NAPON in Umuahia. According to him, perioperative nurses have the responsibility of managing the operating theatre and surgical patients’ care. He said that the shortage of manpower in the profession had given rise to the overburdening of available perioperative nurses. “In most hospitals, the job meant for at least six perioperative nurses is done by either two or three perioperative nurses. “The situation seems to be degenerating because most perioperative nurses are retiring and the retired ones are yet to be replaced in the various health facilities across the nation. “We implore the relevant agencies to ensure that more perioperative nurses are employed, so that operating theatres will be manned by skilled perioperative nurses. He appealed to governments at all levels to review the call duty allowances of perioperative nurses and make it commensurate with those of their counterparts in the health sector. In his remarks, Dr Abali Chuku, the Chief Medical Director, Federal Medical Centre, Umuahia, urged members of NAPON to adhere to the ethics of their profession. Chuku, who was represented at the occasion, said that perioperative nursing was a very delicate sub-specialty, therefore, professionals in the field ought to deliver excellent services. 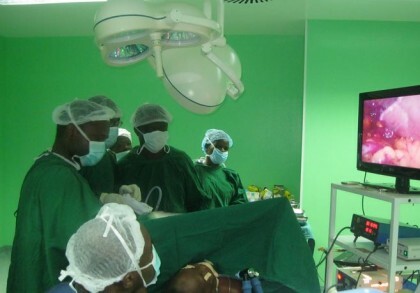 In her address, Mrs Nnenna Henry-Nwosu, the Abia Chairman of NAPON, urged the state government to build modern operating theatres and employ more perioperative nurses to manage them because “safe surgery saves lives’’. Henry-Nwosu stressed the importance of providing training opportunities for nurses in state-owned hospitals interested in perioperative nursing. Older PostProceedings From The House of Representatives For Thursday July13, 2017.